Is she a baby, or a dustbin?! Isla literally never stops eating. She would guzzle her bottle till she was sick then cry for more. When it comes to Dairylea sandwiches she will shove and shove until she can't fit more in. Yet she has always stayed exactly on her percentile line! Now she is getting mobile, she seems to eat more and more like a bottomless bucket for snacks and bananas and (if you stop watching her for 2 minutes) cardboard and carpet lint. more and more calories to keep up with their never ending development. 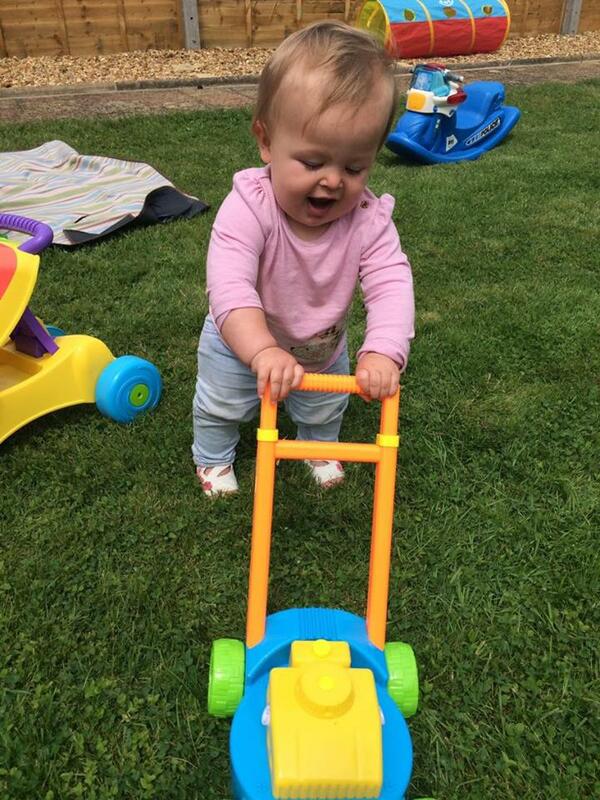 Isla's first step! She's so close to walking now! There's often cries of "But she's had a bigger lunch than me, and I'm a 6ft2 bloke" from Jack as he eats his measly sandwich compared to Isla's continental style buffet tray.. but he's all done growing and learning and she's hitting new milestones every week! Of course, we can't just stuff her full of snacks and biscuits- it's ridiculously important that we make sure she has a well balanced diet. 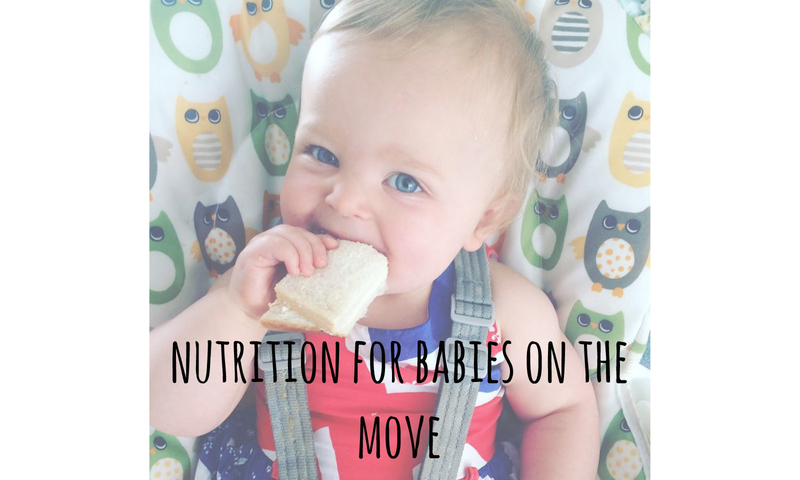 All the different vitamins and all-round goodness from a well balanced diet ensure she can carry on growing and learning to her full potential. We've all heard that yogurt advert "Calcium makes my bones grow stronger!" and it's so true! Even when we are cooking for her, there are different ways of cooking that we've learnt could destroy the goodness of simple things like vegetables. Boiling them leaches all the vitamins into the water and then that gets drained away so we always do our best to steam them. Even the way food is grown can affect its goodness. Family beliefs and values embody HiPP Organic, who are instinctively organic and have been for over 60 years. HiPP believe in organic for a better legacy, using farming techniques that leave the soil full of nutrients for the next generation. That means we feel confident in the goodness she gets from those meals if we don't have time to prep our own, or for a quick lunch out and about. We've also found recently that by rushing around with her walkers, crawling, and all the time she spends outside, Isla is chugging back extra drinks besides her milk bottles in the AM and PM. It's so important to keep little ones hydrated. We had an unfortunate visit to the doctors when Isla had gotten overheated (and refused to drink because of her teeth, not our own doing!) and dehydrated, she was poorly for a few days afterwards. Keep them babies hydrated! Isla's a huge fan of these HiPP Organic juices with mineral water! Yum! To learn more about nutrition and keeping your little ones diet balanced, check out this easy to understand guide on the HiPP Organic Website. 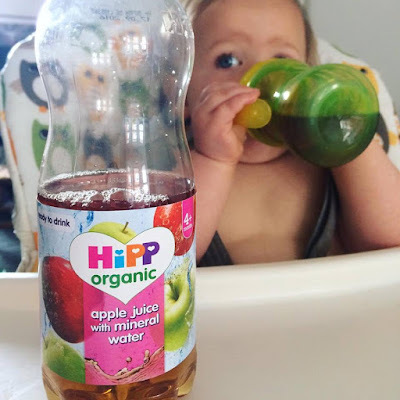 This post was written as part of my Wean Team series, in collaboration with HiPP Organic. Be sure to check out the rest of the posts!